Product #21085 | SKU TAC-2 | 0.0 (no ratings yet) Thanks for your rating! 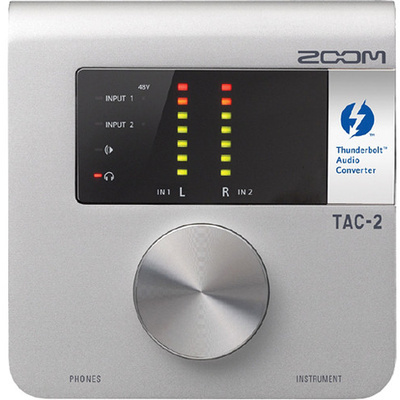 The TAC-2 also features a Burr Brown PCM4202 analogue-to-digital convertor with mic preamps that provide up to +60dB of amplification. It uses the AKM AK4396 digital-to-analogue convertor to provide high-quality output to your monitors, and thanks to the Thunderbolt connectivity, provides lower latency than is possible with USB 3.0.